During today’s lab post we will do an upgrade from ESXi 6.0 to ESXi 6.5 via CLI and we will be using a zip file called VMware vSphere Hypervisor (ESXi) Offline Bundle. At the end of the post, you’ll see a video of the process. If you follow this blog on regular basis you can see that we have already migrated one of our ESXi 6.0 host to ESXi 6.5 via ISO/CD-ROM and that we have also done some posts about migrating vCenter 6.0 (Windows) to VCSA 6.5 or simply In-place migration 6.0 to 6.5 (on Windows). Today’s post is about How to upgrade ESXi 6.0 to ESXi 6.5 via Offline Bundle. The VMware vSphere Hypervisor (ESXi) Offline Bundle file is a zip file and allows to upgrade ESXi hosts via CLI or via VMware Update Manager (VUM). Today we’ll do the CLI method. 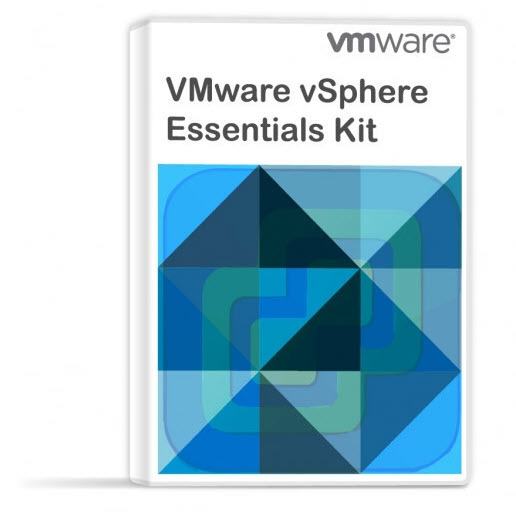 You can follow all vSphere 6.5 and ESXi how-to articles on our vSphere 6.5 dedicated WordPress page. The offline bundle is only available for VMware customers on paid subscription license, so If you want to use today’s method, but don’t have an access to download this file, you may want to upgrade via ISO or via VMware Online repository (Internet access required). And here we go back to the original article. Step 0: Make sure that you have visited VMware HCL and checked that your hardware (pNICs, storage controllers etc…) are on the list for the 6.5 release. Check the Firmware and Drivers combination for ESXi 6.5… You may want to check my detailed post where I was checking for my NICs. It’s not always obvious, but better check before the upgrade….. Step 1: Shutdown all VMs running on your ESXi host machine, put your host into maintenance mode and then connect to your ESXi server via SSH. Step 2: upload the VMware-ESXi-6.5.0-4564106-depot.zip file to a datastore visible to your ESXi host. Where “your_datastore” is the datastore where you have uploaded the file. After checking that your upgrade was successful, reboot your host. You should see a message saying that the upgrade completed successfully. That’s about it. You have upgraded your ESXi host to the latest VMware ESXi 6.5 version. If you like, you can watch a quick video where I was upgrading one of my lab hosts. You can check all posts about vSphere 6.5 on my vSphere 6.5 dedicated WordPress page. Thanks for your incredible blogs, really appreciated for many years! Can you tell something about the host web client (https://hostname/ui) update from the Help menu? Where can I find the requested URL and is this an update for the web host client or the host server? I have a question. My VMware ESXi host is on version 6.0 build 3825889 which is from 05/12/2016. 1) If I update to VMware ESXi 6.5 to latest build which is 7388607. Will I get all previous patches and updates on it and will it work without crashing the server? 2) If that’s not the case if I install each build one by one in a sequence without rebooting the server will it work or will I have to reboot each time when i install each build update? Please suggest the correct way to update without corrupting my server or VM’s based on the build i have right now (6.0 build 3825889). Let me see if I can reply to your questions. 1. All patches are cumulative so yes, you’ll be fully secured. Unsure for the second part. Check VMware hardware compatibility list HCL for your hardware first and if necessary, download the latest driver for your NICs, Storage adapter…. 2. Patches are cumulative. It means you can simply download the latest patch, which contains the previous patches. If you’re unsure, you can also open a support request at VMware so you don’t risk your production environment downtime. Best luck. esxcli software sources profile list -d /vmfs/volumes/??????? As per the given vulnerability I suppose to apply the patch “ESXi 6.5 U2C	ESXi650-201808001” which is quite old then my current version. Just want to know should I be worried about the warning or I am safe to ignore it.